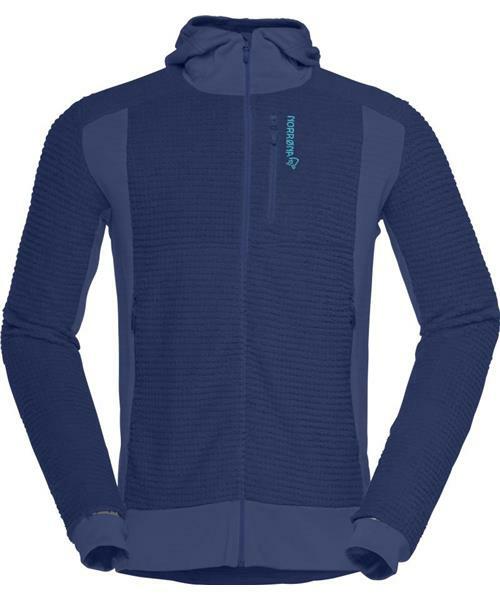 The all new lofoten Alpha raw Zip Hoodie is Norrona's best warmth-to-weight garment within the ski and snowboard range. It is perfect for the high intensity adventures as the Polartec® Alpha120 fabric provides excellent warmth and moisture transport for those demanding climbs. To make sure your motion range is optimized we have added Polartec® Power Grid fabric under the arms and down the sides. It has an athletic and slim fit and has integrated hand gaiters, hand warming pockets and a insulating hood.